We’ve seen a lot of new homes being built on the Sunshine Coast over the past few years. Some are truly amazing, others, well let’s just say they don’t suit all tastes. As any homeowner can appreciate, successfully designing and decorating a comfortable home, whether it is being built from the ground up or an existing structure, is no mean feat. In this article we reveal 4 of our favourite sources of inspiration to assist and inspire you with the design of your home. A frequently update website that is hugely popular and influential amongst communities of high-end designers. 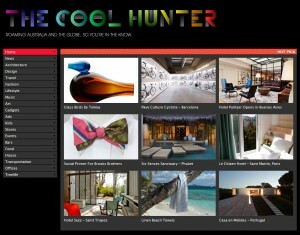 The Cool Hunter is as aspirational as it is inspirational, featuring the most amazing architectural feats from across the globe, though with a strong focus on Australian content. Of course, many of the homes and structures featured on this site are beyond the reach of mere mortals with modest family homes, but will provide you with some great ideas from far reaching corners of the globe nevertheless. The site also spans across a variety of facets of design music, art, bars and travel too, so you may find yourself getting distracted….all in the name of design, of course! An Aussie staple for keeping up with home improvement and decorating trends. 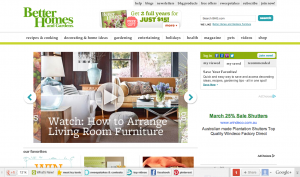 Better Homes and Gardens comes in printed form, as a monthly magazine, however the website is also chock-full of home design tips and techniques. A perfect source of ideas for those on a budget. A hidden gem on the BHG site is their style blog frequently updated with high quality photographs of homely dwellings, rooms and furnishings. 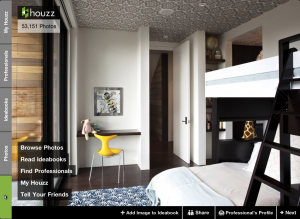 If you haven’t come across Houzz in your travels, to put it simply, you are missing out! Houzz is the master of collating detailed photography-based articles related to very specific themes, and generally with fantastic accompanying imagery. For example, there are currently 139,647 photos of bathrooms listed on the site, 1,103 of which are Tropical style bathrooms. Comprehensive indeed. 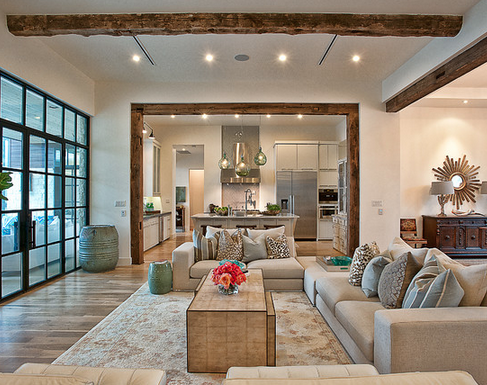 The Houzz web site is well designed so that you can easily navigate between room types. Once you delve into your first article, you may find yourself resurfacing hours later, as you discover the treasure trove of content hiding behind the homepage. If your mobile phone is more your style, check out the Houzz iPhone app too, for all of your home decorating, remodelling and design ideas. There’s two reasons that Pinterest comes in at number 1 on this list. Firstly, Pinterest the largest online ‘inspiration pinboard’ in existence, which continues to grows by the second due to the persistence its loyal contributors . The pinboards can be browsed by category, by specific search terms, and even specific contributors, allowing you to search for inspiration however you like to browse. 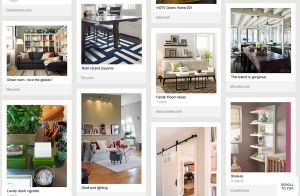 Thus, with millions of contributors, the sheer scale of inspiration on Pinterest is mind-boggling. The second reason, it that Pinterest allows you to ‘pin’ (or in other words ‘save’) your inspirations from all of the other online sources mentioned above. Think of it as a digital scrap book that you can access anywhere, anytime, without ever losing! Oh, and you can snoop through others’ scrapbooks too, which makes it all the more fun.